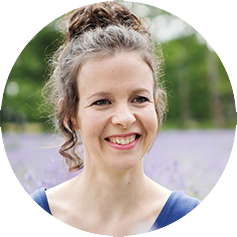 Nathalie Champoux’s story is first and foremost a personal account whose aim is to encourage reflection on the adverse effects that our modern diet and industrialized way of life can have on our health. As such, neither the author nor the editor can be held responsible for any undesirable effects that may arise from adopting the approach described in the book Être et ne plus être autiste. The author has made clear that the path she chose to take in order to reverse her children’s autism diagnosis is not a magic formula. In no way is she claiming that all children who have autism or a neurological disorder can go into remission. That said, nothing can be lost by trying what was beneficial for her family. In the summer of 2011, after her eldest son was diagnosed with autism and her youngest son was awaiting a confirmed diagnosis, Nathalie Champoux, a young mother of 31 years old, undertook some research that led her to a rather astonishing finding: autism—contrary to what physicians say—may be reversible. She subsequently embarked on a deeply moving quest to free her children from their bubble and help them find their wings. Today, both boys are in perfect health and developing normally. This riveting story of courage and determination is geared primarily to the parents of children who suffer from autism or a neurological or developmental disorder, including attention deficit disorder with or without hyperactivity (ADD/ADHD), dyspraxia, dyslexia, learning disabilities, Tourette’s syndrome, anxiety disorders, depression and schizophrenia. But it is also for anyone who believes that to conquer a disease you first need to understand its causes, rather than focusing only on the symptoms. In the past 20 years, autism has increased by 600%; 1 in 68 children is affected and the prevalence rate is 1 in 42 for boys. More children will be diagnosed with autism this year than with AIDS, cancer and diabetes combined. What if our way of life were one of the causes of our illnesses? We live in a time when our food is highly processed, genetically modified, and supplemented with growth hormones, refined sugar, colouring agents, chemical stabilizers, pesticides and a host of other substances whose names are hard to pronounce. Not to mention the water we drink, the air we breathe… and the heavy metals found in everyday objects, such as the plastics that are omnipresent in our environment, as well as aluminium, cadmium, lead, arsenic and mercury, to name only a few. What if all these elements were partially responsible for the dramatic increase in many inflammatory, chronic and autoimmune diseases, as well as for neurological and neurodevelopmental disorders such as attention deficit disorder with or without hyperactivity (ADD/ADHD), learning disabilities, dyslexia, dyspraxia, anxiety disorders, depression, schizophrenia… and autism? This is precisely what the author believes. And it’s by acting on these causes that she succeeded in restoring her children’s health, enabling them to develop normally. the norm in North American families. Our life is perfectly normal. Of course, it all depends on the meaning of the word normal, but in our dictionary, a life that allows you to blossom, follow your dreams, push your limits and be healthy… that is a normal life. Our modern diet is completely different from that of our ancestors, who lived on vegetables from their garden and the meat of free-range animals fed with grass in summer and hay in winter. Having learned to follow the rhythm of the seasons, they didn’t eat oversized strawberries in winter or multicoloured cereal for breakfast. Our food has been transformed to such as extent that we have to question its impact on our health. To restore our health, we need to eat like our ancestors did and eliminate the foods that harm our body. Among these foods is gluten, which is found in wheat, rye, barley, kamut, spelt and triticale. Oats are also suspect since they are often contaminated by gluten. Forty years ago, wheat was genetically modified by adding 28 chromosomes to it—despite the fact that a single additional chromosome in humans can lead to Down syndrome. And it was exactly at this time that the incidence of many illnesses began increasing alarmingly. Among others, they include arthritic diseases, asthma, eczema, allergies, ADD/ADHD… and autism. Primarily because all mammals—including humans—do not have the enzymes capable of digesting it. But also because one of the molecules it contains, gliadin-α, has the effect of making the intestinal wall more permeable. The result is that large partially-digested food molecules appear in the blood and can trigger a variety of disorders or pathologies. Nathalie Champoux’s first step in conquering autism was changing her family’s diet. Removing gluten, casein (dairy products), soy and refined sugar was a crucial step, but it didn’t stop there! How? By "repairing" the intestine, which acts as the body’s second brain. Under repeated attack, it becomes very porous and enflamed. As a result, the gut microbiota becomes unbalanced by an overabundance of pathogens, parasites, fungi and unwanted yeasts. Under these conditions, it becomes essential to treat the intestine, in particular by stimulating the growth of good bacteria. At the same time, it’s important to change the environment by eliminating the contaminants, reducing electromagnetic fields and drawing out the heavy metals that the body has accumulated. The gut microbial area is exploding before our very eyes right now. It’s becoming clear in more and more publications that gut bugs affect the brain and create psychiatric conditions, and that there’s a mind-brain-body continuum through the gut microbiome. And so I think it’s more plausible than we ever could have imagined that gut bugs maybe affect brain function and behaviour, including for autism. Socially-committed artist, and author of the books Vive la détox! and Détox gourmande and of the website jmagazine.ca. Specializing in microbiology and immunology, former professor and researcher at the Université de Montréal’s Faculty of Medicine. Author of four books including the best-seller The End of Pain: How Nutrition and Diet Can Fight Chronic Inflammatory Disease (Greystone Books Ltd., 2014). Following studies in Pure Science and Arts & Literature at CEGEP, Nathalie Champoux went on to obtain a bachelor’s degree in Communications from UQAM. Driven and determined, she is a critical thinker compelled to get to the bottom of things. Above all, she’s an honest and true woman who is committed to the well-being of the people around her. In 2013, she became the proud mother of a third son. Être et ne plus être autiste et Santé! Le guide pour toute la famille. If you would like to comment on, publish or discuss the topic, please go to the book’s Facebook page.